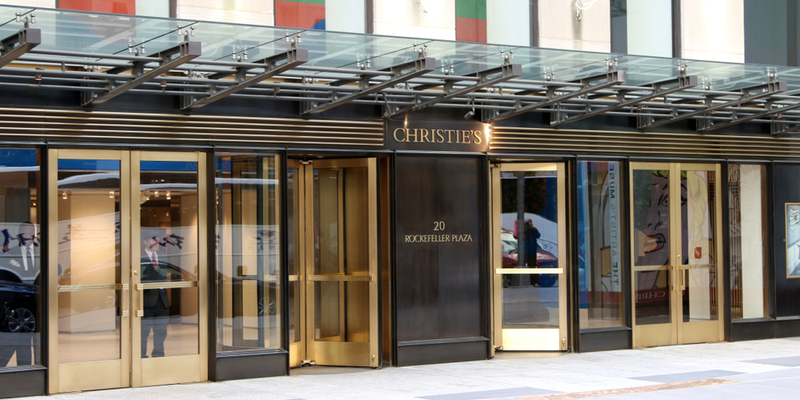 Christie’s fine arts auction house, located at Rockefeller Center in New York City. 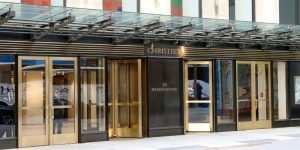 Christie’s auction house hit record breaking numbers this week, bringing in more than $317,801,250 for American artwork. The big winner of the night was Edward Hopper’s iconic “Chop Suey,” which sold for an incredible $91,875,000. The 1929 oil painting is considered to be Hopper’s best work. The owner, Barney Ebsworth, was a Seattle-based travel entrepreneur who held what many called “one of the greatest” private collections of 20th century American art. Ebsworth died last April, and it was originally reported that “Chop Suey” would be donated to the Seattle Art Museum. However, Ebsworth’s estate, along with third-party guarantors, knew they could greatly benefit financially from auctioning it off. The painting was estimated to be worth between $70 million to $100 million. Not surprisingly, plenty of art dealers were left aghast at the “outrageous” pricing for which the painting went. “Really, $100 million for a Hopper? I don’t know how they come up with these valuations,” said Howard Rehs, an American art gallerist based in New York. But “Chop Suey” wasn’t the only record breaker of the night. Willem de Kooning’s “Woman as Landscape” sold for a whopping $68,937,500—the most a de Kooning work has ever sold for. Alexander Calder’s standing sculpture “Hen” also broke records for the artist, selling at $8,412,500. All auction sales went to private buyers. Porter also noted that, in an ironic twist, Ebsworth had purchased American art because he was told European artwork was too expensive. His collection went on to be in the top five collections ever sold in auction.